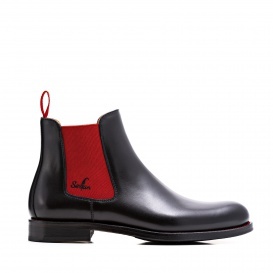 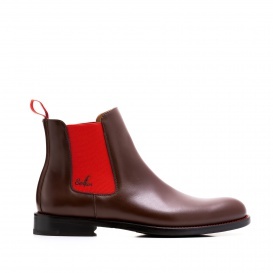 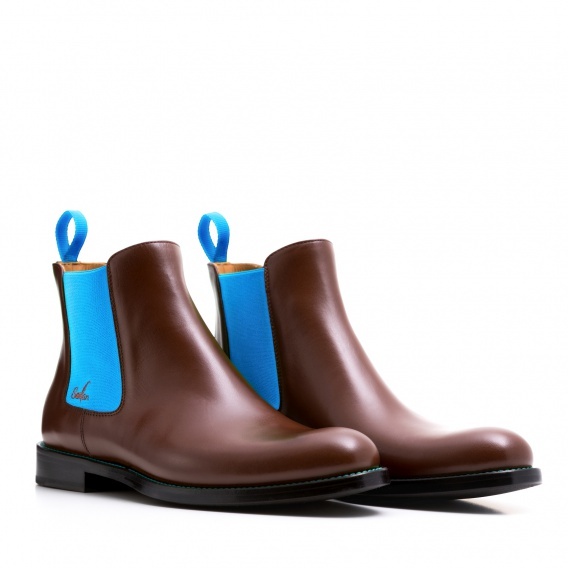 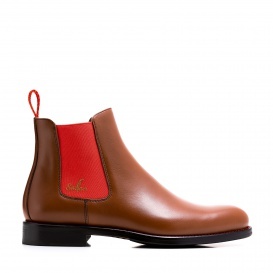 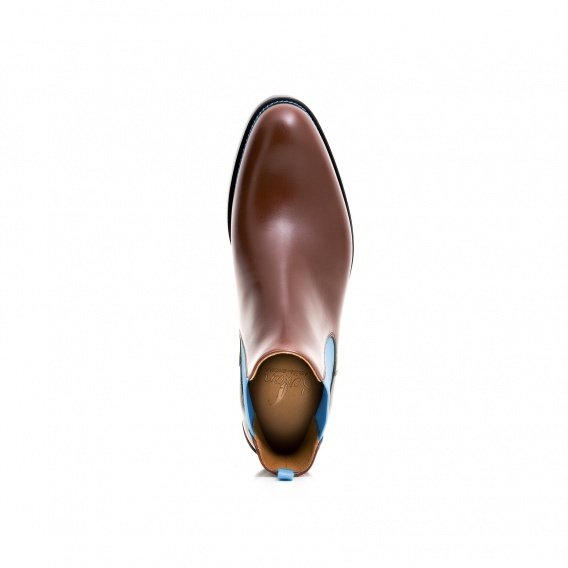 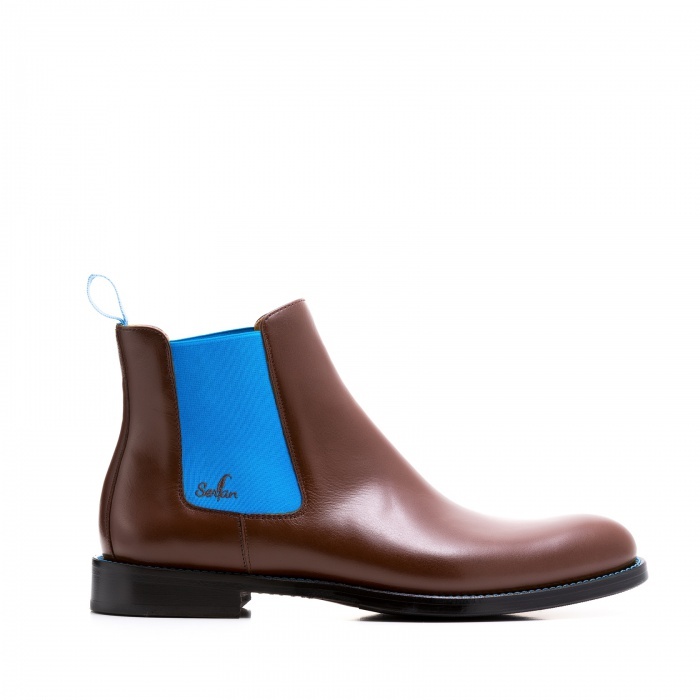 With its blue inserts our brown Chelsea Boots brings calmness and harmony to every outfit. 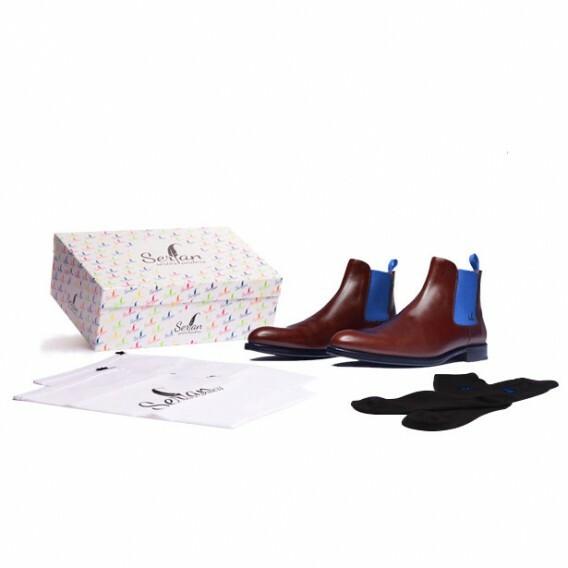 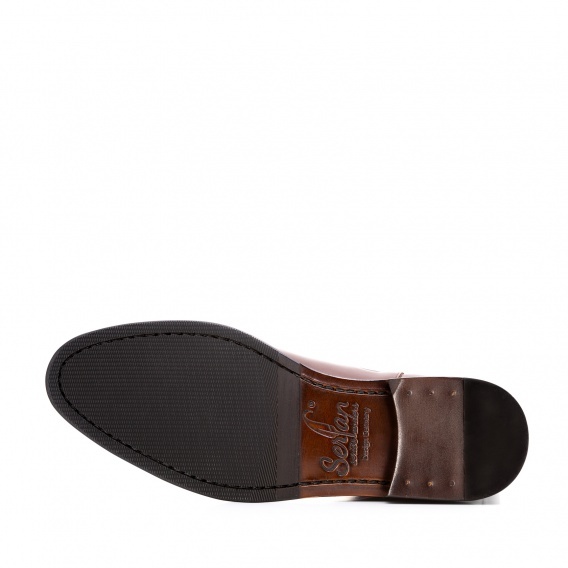 Wear them with slim fit trousers or jeans and a patterned shirt to get a modern look. 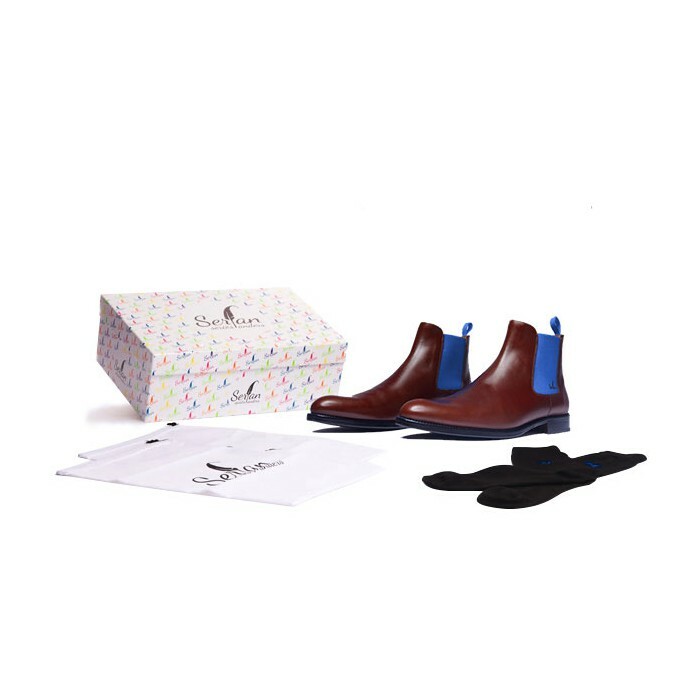 Typical for our chelsea boots are the colored spandex insets which provide perfect fit as well as a high comfort, even when you wear them for a long time.